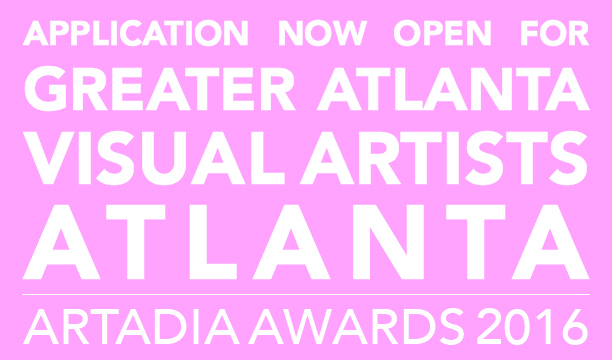 Atlanta Artadia Awards are open to all visual artists living and working throughout Greater Atlanta. The 23 eligible counties are: Barrow, Bartow, Butts, Carroll, Cherokee, Clayton, Cobb, Coweta, DeKalb, Douglas, Fayette, Forsyth, Fulton, Gwinnett, Hall, Henry, Morgan, Newton, Paulding, Pickens, Rockdale, Spalding, and Walton. Individual artists and collaboratives working in all media, and at any stage in their career are strongly encouraged to apply. Artadia Awardees are selected through a two-tiered jury process that combines local expertise with outside perspective from leading curators and artists. A preliminary panel will evaluate all online submissions and select five Finalists in October. A second panel will conduct studio visits with each Finalist, gaining a broader context for the artists’ work. Awardees will be selected from the Finalist pool to receive unrestricted Artadia Awards of $10,000. The 2016 Atlanta Awardees will be announced in November and are eligible for the inaugural national Artadia Award.